Despite Losing Millions to Previous Love, Paul McCartney Says ‘No’ to Pre-Nup! Being the hopeless romantic that he is, Sir Paul McCartney denied the offer of a pre-nup from his new love, Nancy Shevell, New York socialite. Former Beatle, Paul McCartney hasn’t had the easiest of love-lives. His first wife, Linda McCartney passed away after a struggle with breast cancer in 1998. His second wife Heather Mills claimed a multi-million pay-out of £24.3 million when their marriage ended bitterly. Luckily, he has now found love with the elegant Nancy Shevell. 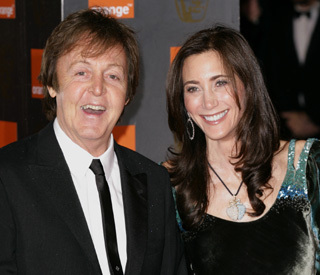 Mr McCartney is due to wed Nancy within the next few months. The pair appeared hand in hand to display a notification of the wedding at Marylebone Register Office, London – where Paul married his adored first wife Linda. The 69-year-old pop legend began dating Shevell four years ago and in May an announcement was made that they were to get married. The news hints that the wedding will be a low-key, small family affair, similar to the Beatle’s first marriage and completely dissimilar to his second marriage, lavish 2002 Irish wedding ceremony to former model Heather Mills. This entry was posted on Wednesday, September 14th, 2011 at 1:46 pm	and is filed under Music News. You can follow any responses to this entry through the RSS 2.0 feed. Both comments and pings are currently closed.